How to fix the VIDEO_TDR_FAILURE error? Home »	Fix » How to fix the VIDEO_TDR_FAILURE error? Issue: How to fix the VIDEO_TDR_FAILURE error? Hello guys. Recently I have been getting a VIDEO_TDR_FAILURE error on the blue screen on my Windows 10. I am not sure what that means. I never used to have this problem with previous Windows versions. I tried to restart my computer, but it did not help. 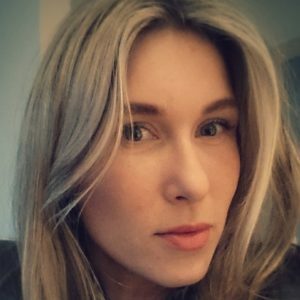 Any advice what I can do? 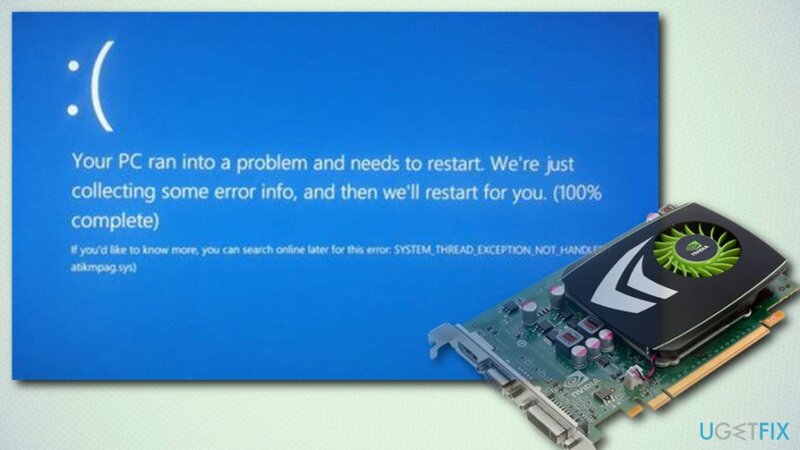 VIDEO_TDR_FAILURE is a Blue Screen of Death (in short – BSOD) message that appears as a full screen that is locked. 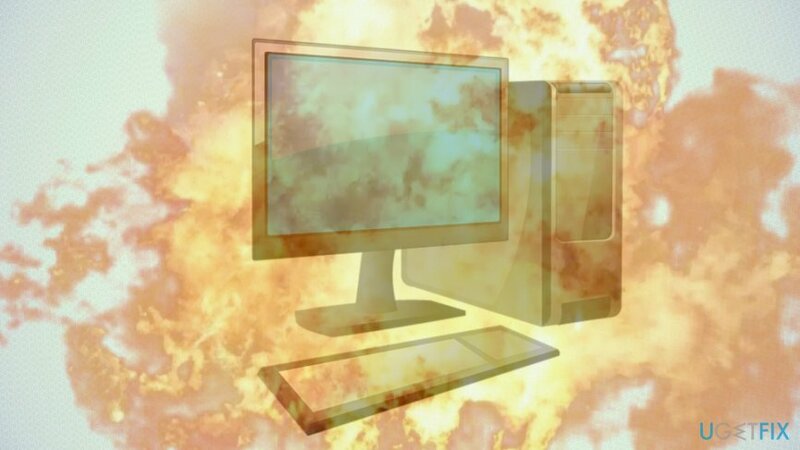 BSOD is considered to be a stop error as you can’t simply close it and save your data. The only thing you can do at that point is to restart your computer. Thus, data loss is possible when encountering it. VIDEO_TDR_FAILURE is directly related to graphics display drivers. TDR stands for Timeout, Direction, and Recovery and it is an essential component in Windows OS. When the graphics driver stops responding, Windows brings up BSOD error message to prevent OS from possible damage. The restart will attempt to fix the problem. There few reasons why the graphs card driver might stop responding. It might happen after an upgrade to Windows 10, driver update or when an excessive amount of GPU power is used, for example rendering HD video files or playing high-end games. VIDEO_TDR_FAILURE can be accompanied by the further explanation of the error, depending on the graphics card used. In case Intel card is used, Windows can also indicate the file name of the error, which would be “igdkmd64.sys”. AMD graphic cards would display “atikmpag.sys.” Thus, pay attention to this information as it can lead to an easier solution. In some cases, a VIDEO_TDR_FAILURE fix might only be achieved by scanning your computer with Reimage as malware can be the cause of well-known Windows errors. Therefore, you have to make sure that your computer is not infected first. Nevertheless, whatever the root cause of your problem is, we will help you solve it. Our security experts prepared a guide, offering few solutions to this problem, so keep reading. Outdated or corrupted graphics drivers is the main culprit for this error. GPU driver is software which determines how hardware and operating system interacts with each other. Therefore, if drivers are outdated, they might cause a VIDEO_TDR_FAILURE error. Alternatively, you can also download the latest display driver from the manufacturer’s website. Make sure you select the correct driver though. A warning might pop-up. 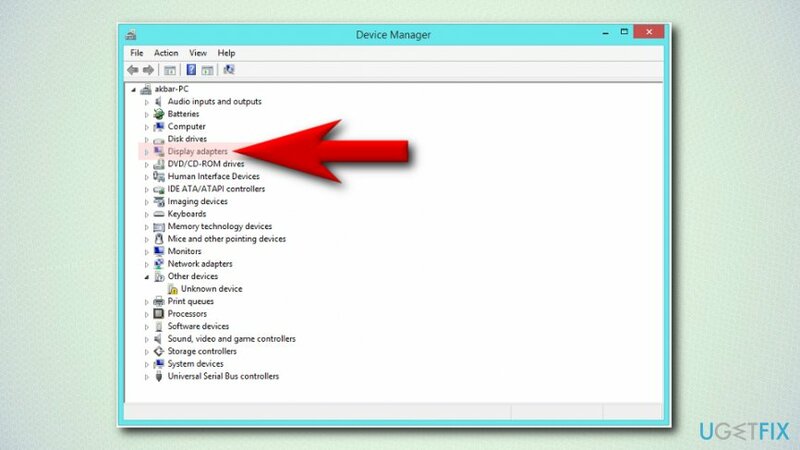 Before clicking Uninstall, make sure you have Delete the driver software for this device ticked. Sometimes the cause of the problem is GPU overload. That means that you are running way too intense graphics processes that your graphics processor cannot handle. The easiest way to fix it is by adjusting graphics settings. Go to your graphics card’s control panel and decrease the settings to medium or low. In some cases, the selected graphics card for PhysX GPU acceleration might not be your primary one. 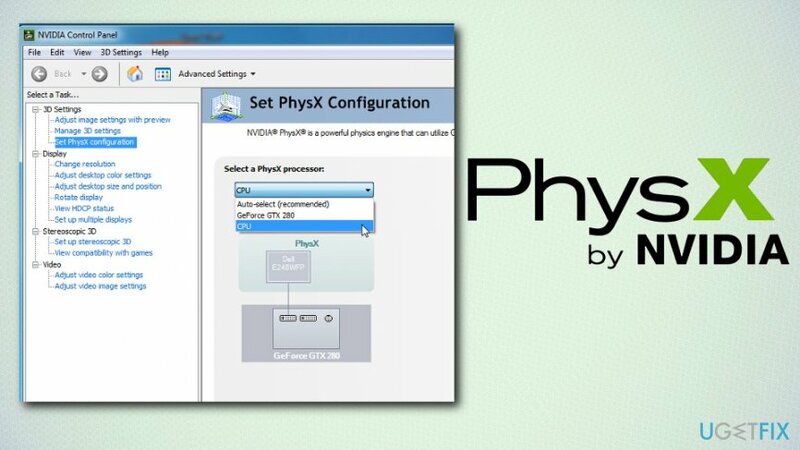 Go to Nvidia control panel and pick PhysX configuration and then select the preferred GPU. Sometimes VIDEO_TDR_FAILURE error might be caused by recently installed programs or drivers. Try removing or reinstalling these applications. Additionally, it has been reported that Logitech webcam might cause the BSOD. Thus, remove the webcam drivers and see if it helps. Manage your graphics intensive programs correctly. For example, if you are editing an HD video, make sure you do not have any background programs running. Additionally, if you are playing video games, some anti-virus software has the Game mode function that disables all the unused background processes during gaming sessions. If you are continually using programs that use a lot of GPU power, you should merely upgrade your graphics card to the newer model. This way, the upgrade to hardware can help you manage the workload without errors. ^ Blue Screen of Death (BSOD). Lifewire. tech Untangled. ^ What is a graphics card and a graphics driver?. SketchUp. Help Center. ^ What is HD video?. Digiarty. Video software. ^ AMD. Wikipedia. The Free Encyclopedia. ^ James Norris. What does PhysX do?. PC Gamer. The Global Authority for PC Games.